Aging is a natural shift from one stage of life to the next. But aging doesn’t mean you have to give up your active lifestyle. 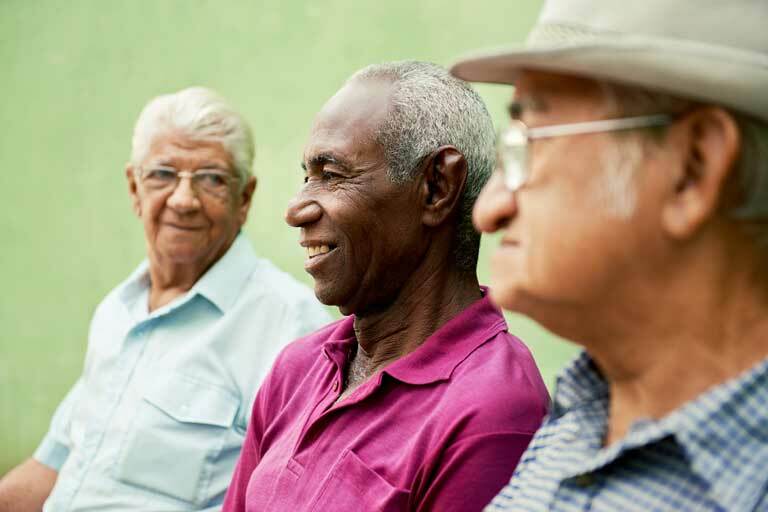 In honor of Men’s Health Month, here are some helpful tips for men to keep living with the same level of activity that they’re used to. Remember to talk to your doctor before beginning any new fitness routine. Be a superstar with superfoods. It’s time to put down the potato chips and chocolate cake; being careful about what kinds of food you’re consuming can have a tremendous impact on your overall fitness level. Foods like almonds, broccoli and tomatoes can greatly reduce problems from blood pressure to cholesterol levels, and can even lower the risk of prostate cancer. All of these foods give you natural energy and help your workouts and fitness routines have the best impact for you. And in case you can’t give up chocolate just yet, there’s some good news; studies suggest that one half bar of dark chocolate per week reduces the risk of heart attacks and strokes. Eating healthy and staying fit has never been sweeter. Follow a 4x25 fitness plan. Studies show that as you age, resting between workouts becomes more important to allow your body to recover properly. Fitness experts recommend that older men work out about four days a week, with workouts lasting about 25 to 30 minutes. This allows your muscles plenty of time to recover and allows your workouts to be more effective. Oh, and don’t forget to stretch. Give your body a boost with push-ups. Widely known as the benchmark of fitness, push-ups can actually have remarkable effects on older men in terms of retaining and building muscle mass. That’s because push-ups, unlike many other workouts, engage the whole body; they work muscle groups in the arms, chest, abdomen, hips and legs. Strengthening yourself with push-ups can give you the strength to reach out and break a fall, preventing a potentially devastating fracture or broken bone. Step up your game and take the stairs. Some studies show that climbing 55 flights of stairs a week can slash the risk of dying early by up to 15 percent and can dramatically lower your cholesterol in just a few weeks. That’s about eight flights a day, a small portion of time for such a big impact on your overall health. Dive in for a workout. Swimming is an excellent way to get some cardio in and also helps you maintain an active lifestyle even with chronic joint pain. The weightless feeling you get in the water can help alleviate joint pain while still burning calories. And if you don’t have a pool in your backyard? Most local YMCAs offer senior discounts for those of a qualifying age. While you’re there, take advantage of some of the water workout classes and other fitness services. Aging doesn’t have to be the end of your fit lifestyle. With proper attention to your fitness, you could increase both the quality and span of your life. Following a physician-approved plan could help give you the energy you need to not let aging be a burden but an exciting new opportunity.